Genuine Italian pizza is baked in wood-fired stone ovens. 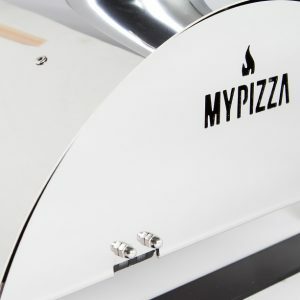 MyPizza has the design and soul of an Italian pizza oven, but it is considerably more compact in size, and made from stainless steel. 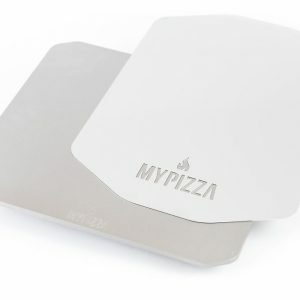 MyPizza Baking Stone is made of Finnish soapstone, which can withstand the heat of real fire, and will make your pizza bases deliciously crunchy. 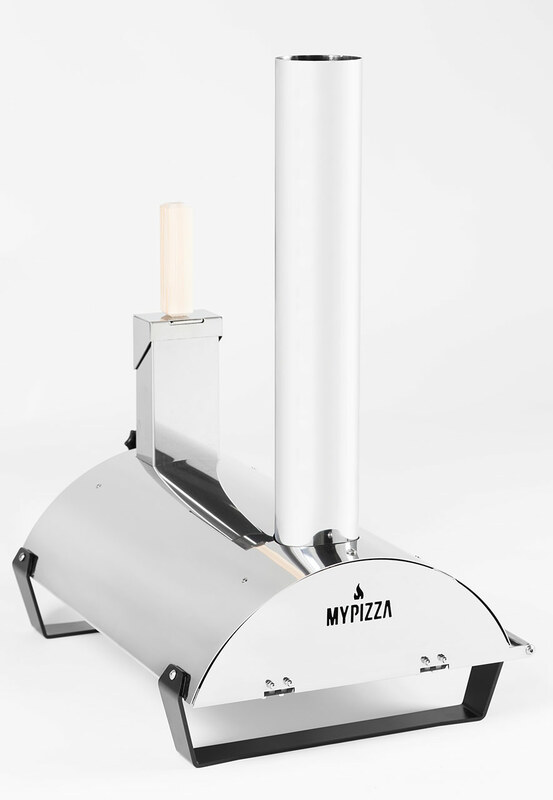 MyPizza is heated with natural pellets, and will reach the ideal baking temperature in about 25 minutes. 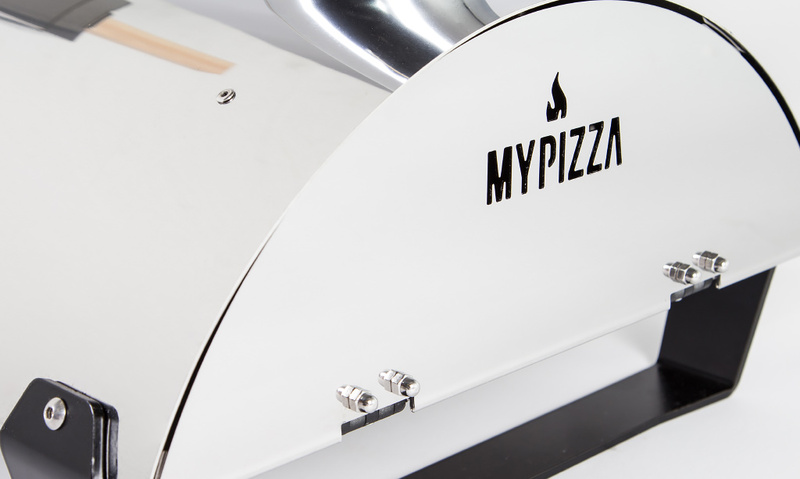 It only takes a few minutes to bake a perfectly crunchy pizza base in a MyPizza oven. 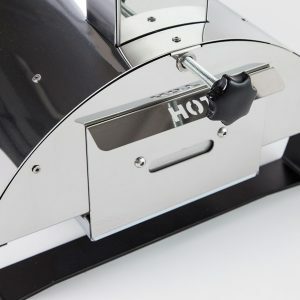 In addition to baking pizzas, a MyPizza oven is also great for cooking fish, meat, flatbreads or desserts. 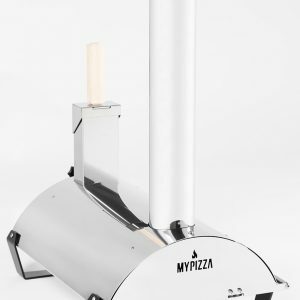 The MyPizza package includes a pellet-fired pizza oven, a paddle, and instructions. Made in Finland, manufactured by Polar Metalli. 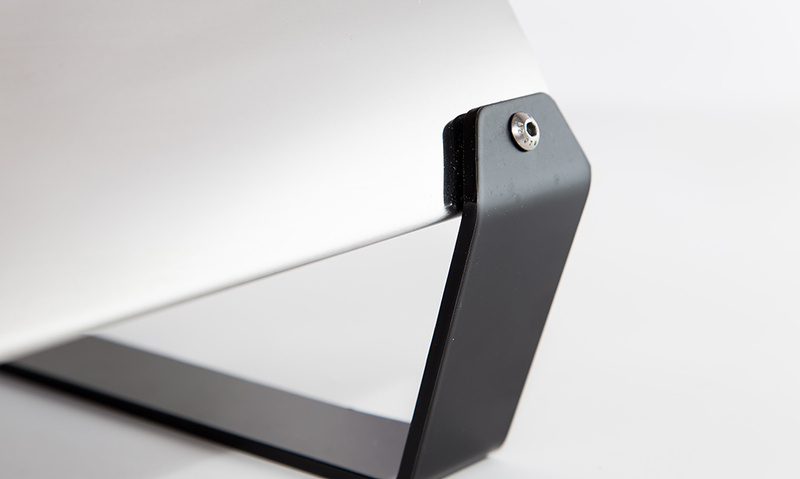 Materials: stainless steel (pizza oven), soapstone (baking stone). Measurements: length 57 cm, width 43 cm, height 18 cm. Chimney height 65 cm. Weight 13 kg. Optimal pizza baking temperature: 320–420 °C. 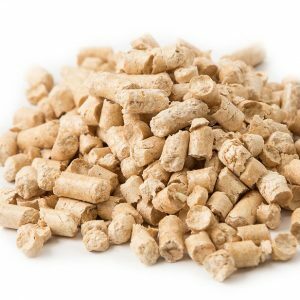 Approved for use with food, MyPizza pellets are clean Finnish wood pellets. The package contains 5 kg of pellets. Made in Finland. 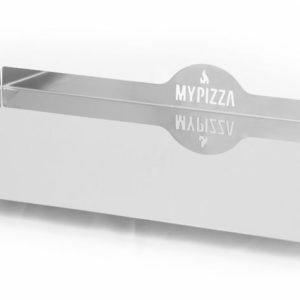 The MyPizza Baking Tray allows you to prepare and serve pizzas easily. 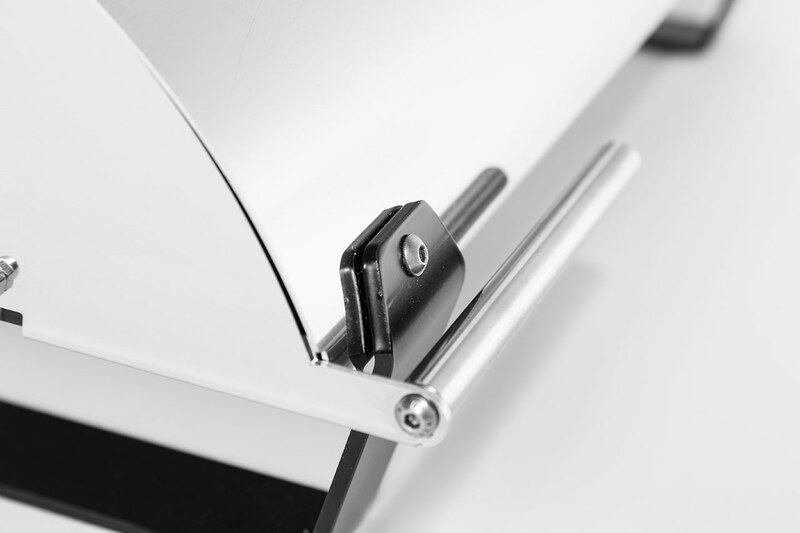 The baking tray helps you to keep your kitchen clean, as edges prevent flour and other ingredients from sliding off. The baking tray can be used as a serving plate as well. Made in Finland. 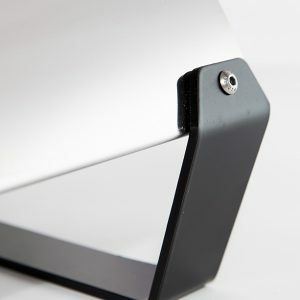 Pizza baking steel for electric ovens and grills, enabling your pizzas to have a perfectly crunchy base. The package also includes a paddle. Made in Finland. PLEASE NOTE! 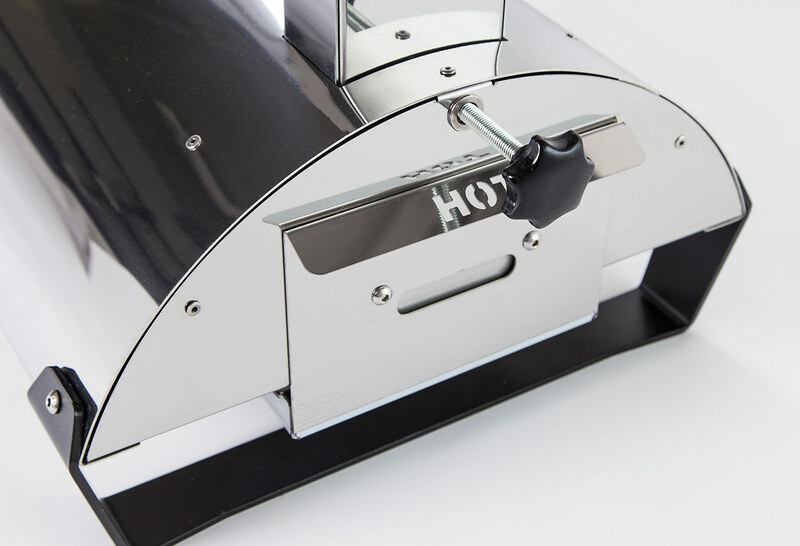 You do not need a MyPizza Baking Steel, if you already own a MyPizza oven! 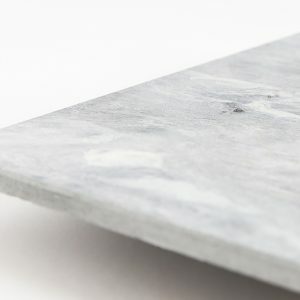 MyPizza Baking Stone is made of Finnish soapstone, which will make your pizza bases deliciously crunchy. 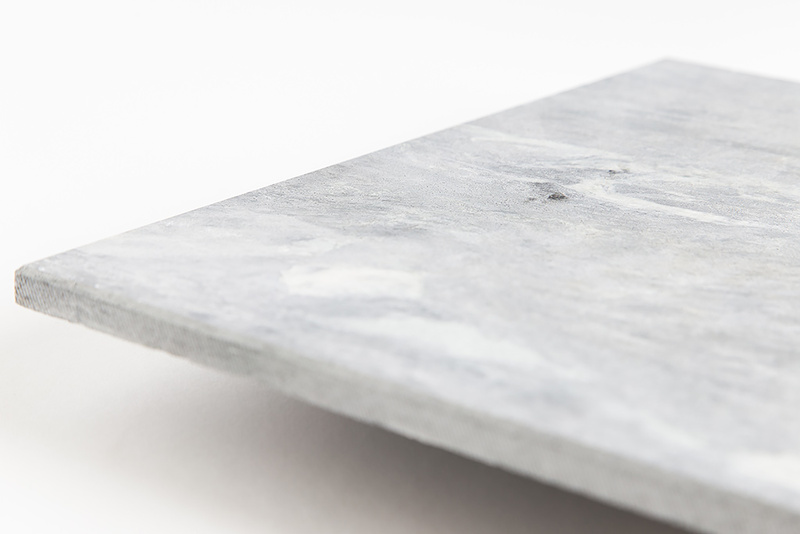 Soapstone is 2 billion years old and durable enough to withstand the Arctic freeze as well as genuine fire. 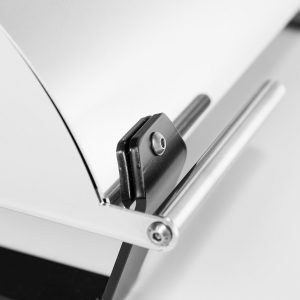 It is a hygienic and safe baking stone, and it doesn’t absorb any flavors or aromas. Soapstone withstands large temperature fluctuations and has an excellent heat transfer capability.